We manufacture range of Stainless Steel Components that are used in linen / flex spinning. These are available in different diameters and thickness. 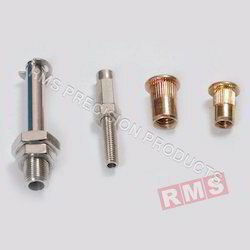 These components have qualitative yarn properties that enhance the performance of the machines. We are generally looking for foreign queries. 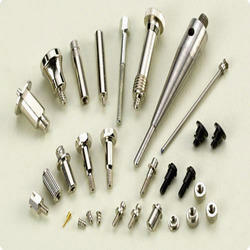 We are actively involved in offering an excellent range of Precision Stainless Steel Components. These presented components are hugely treasured and cherished because to robustness, durable and resistant to corrosion. Manufactured using ultra-modern machines, we offered these components in different size and specifications. In addition to this, these could be purchased from us at most affordable costs. To satisfying the varied demands of our valuable clients, we are highly engaged in offering optimum quality Stainless Steel Turned Components in the market. This offered range is suitable in various industries. Apart from this, customers can avail the offered range from us at the most economical prices as per the detailed demands of our valued clients.